Because it’s 2019 and good things don’t happen, Duke remains in the NCAA Tournament, having survived an upset bid from Central Florida on Sunday evening that would have turned March Madness on its head. That would include the Dealbreaker Tournament Challenge, where M Smith (2) and Sam Desai are tied for third place with 220 points after the opening weekend, with each counting on the Blue Devils to win it all. 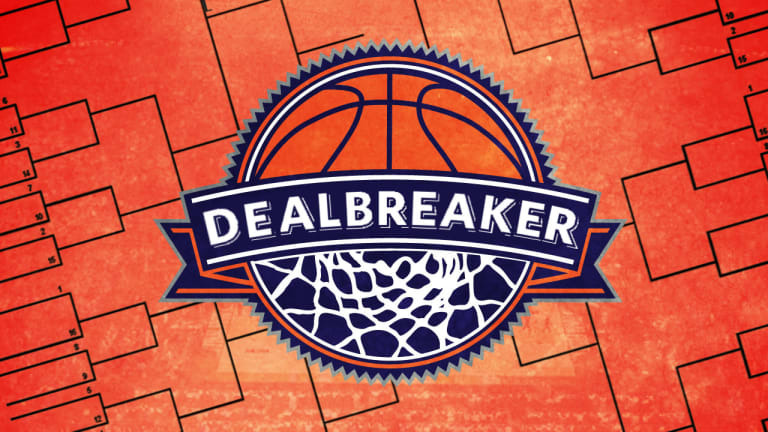 Their picks are significantly different other than the national champion, so the Sweet 16 and Elite Eight will determine a lot between them, with plenty of other contenders still very much alive to collect that sweet Dealbreaker swag at the end. Smith and Desai look like the favorites right now even though they’re tied for third because of Duke being Duke, but they do trail the current co-leaders, Ron Kimbrogh and Will Griffith, by 22 points. Griffith nailed 15 of 16 picks for the regionals, missing only on LSU, as he had Belmont making a Cinderella run, and his entire Elite Eight is intact, including predicted national champion Michigan State – a bold choice that will either pay off with victory or backfire spectacularly. The story is much different for Kimbrogh, who has lost not only Maryland from the Elite Eight, but Villanova, whom he had winning the whole kit-n-kaboodle. Having had Villanova all the way reduces Kimbrogh’s maximum possible points to 306, while it’s 370 for Griffith, and 344 each for Smith and Desai. Keeping that national champion pick alive is important, and high on the leaderboard are contestants with varied picks to win it all. Robert Rayner (3) is fifth right now with 206 points, but has to feel good about the way North Carolina has looked. Ryan Porter is sitting at 205, and breathed a sigh of relief after Virginia weathered an early storm against 16th-seeded Gardner-Webb, then rolled past Oklahoma on Saturday. Things are not so good for Andrew Huizenga, who is tied for eighth at 197 points but has eliminated Ohio State going the distance. 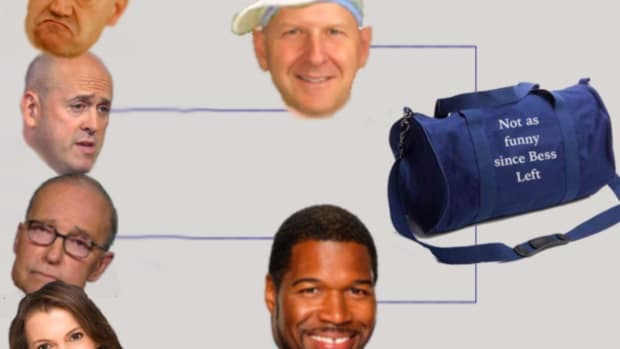 He’s tied for eighth with another Robert Rayner bracket, (2), which features Kentucky cutting down the nets at the end. There are only 15 games left in the tournament, but plenty of movement remains possible. And that means Nathan Larsen, sitting on 129 points, is not assured of finishing anywhere near last place, especially if his national champion, Gonzaga, can keep on winning. Larsen is one of 10 entrants behind your humble correspondent, who in turn is six points behind grand pooh-bah Thornton McEnery, who was smart enough to pick Duke because, again, it’s 2019 and good things just don’t happen. Plus a visit from 1884 National League triple-crown winner and obscene gesture pioneer Old Hoss Radbourn. The only person fully enjoying this tournament is a 98-year-old nun, so do with that what you will.